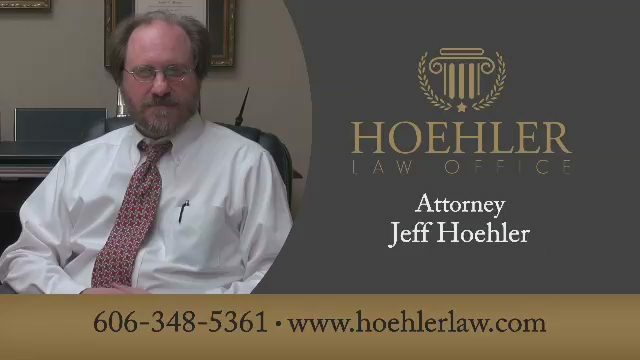 Welcome to Hoehler Law Office. We are a practice dedicated to providing excellent representation and service. We are here to help you. Jeff is a 1993 graduate of The University of Kentucky College of Law and has practiced in the Somerset, Lake Cumberland area for more than 20 years. He has represented many injured people whether in a motor vehicle accident or injured at work and has gotten large settlements for many. Bankruptcy, Is it for you? Copyright © 2019 Jeffrey Hoehler. All Rights Reserved.